It’s time for another episode of Beauty Class! Are you ready? First we took on the infamous difference between Tinted Moisturizer, BB Cream and CC Cream. Then, we talked all about Skin Serums. 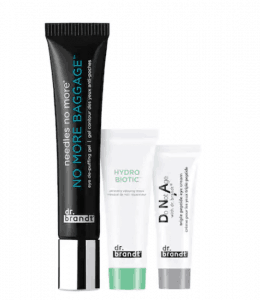 Today, we are going to dig into Dark Undereye Circles! 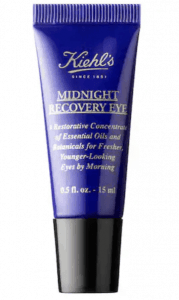 What are the causes of dark undereye circles? What are some actually effective treatments – in different price points? Excited yet? So am I. This is one of those topics I got questions about alllll the time as a makeup artist! I worked with all types of clients, but mostly models for bridal fashion shows, brides on their wedding day and other special events, and more, and you know what – no matter who you are, how in shape you are, how many green juices you drink a day – you can still suffer from DARK UNDEREYE CIRCLES! Everybody can get them. Everybody hates them. Luckily, we are not powerless in this fight and I’m about to share all the dirty tips and tricks I’ve got with you. 1. 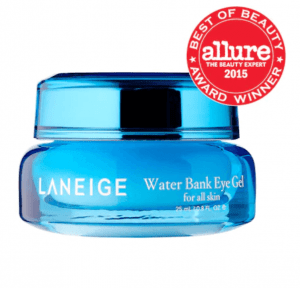 What Causes Dark Undereye Circles? SLEEP: Not enough can cause inflammation, areas with thinner layers of skin, such as under the eye, can show this inflammation sooner than other areas of the body. GENETICS: Yup, you can be born with a hereditary predisposition for those pesky little dark bags. For example, if it’s just in your design that you have less fat under your eyes, or darker veins, or paler skin so the veins show through, or darker skin so there is more pigment, etc., you get dark circles. SKIN CONDITIONS: There are a few skin conditions that can cause a flare up, such as rosacea, eczema, autoimmune diseases, sun spots, melasma, etc. DIET: Not enough water? Chemical imbalance? Maybe a deficiency in certain nutrients the body needs for healthy skin? Not enough iron? All of these have been linked to dark circles under the eyes. This may not seem helpful – but, if you can actually do a little investigative work and start tracking your dark undereye circles, you may be able to pinpoint that they are worse certain times of the year, or when you eat certain foods. Maybe you can figure out that they really darken when you are out in the sun or when the pollen count is especially high. If you are able to start determining a cause -you can choose treatments that are much more focused and better suited to your specific cause and then see better results. But, even if you can’t figure it out – there are still steps you can take to improve the look of those dark ponds. 2. 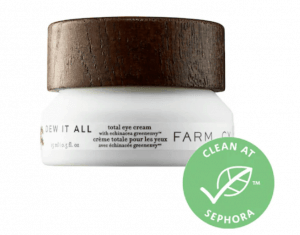 What Treatment Options Work For Dark Circles? Sure, you can always throw down the big bucks for fillers to increase and plump up the skin, but these are temporary and expensive fixes. For the rest of us that aren’t ready to cash in our 401k for a fun day-of-pain, there are lots of products on the market proven to help. Although, remember that it may take some trial and error to find the right product for you. Always listen to your body when trying new products and if anything is painful or irritating to your skin or eyes, stop taking it. Most stores have generous return policies for this kind of thing. 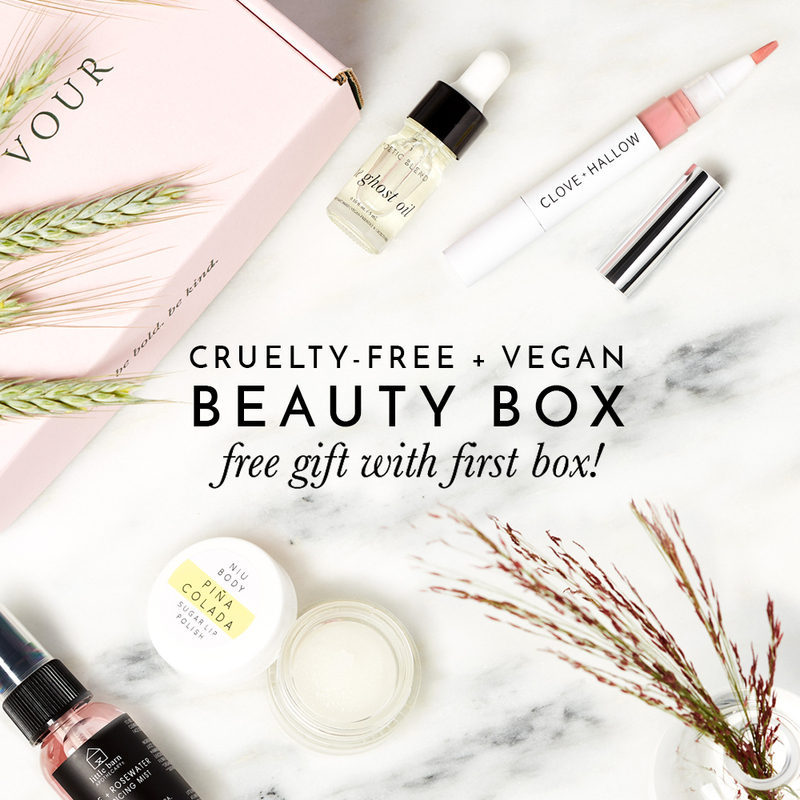 Personally, if something is going on my skin or anywhere near my eyes, I like to veer towards the clean beauty side of things. I mean, we only get one pair of eyes – you know what I’m sayin’? Now is the time to look at what you can do for free or for your whole body that will help holistically. Ideas would be: try to get more sleep, or improve the quality of your sleep. I wrote a post on my natural remedies for insomnia and you can read that here if you struggle with insomnia, too. Drink more water. 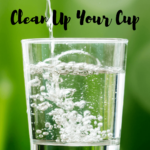 The cornerstone of every single new fad diet, old diet, successful diet, or lifestyle change is always drink more water. Common denominator – because it’s really important. Get the blood flowing. Walk. Yoga. Pilates. Exercise. Whatever you can with whatever you have available to you. 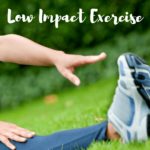 I wrote a post on some workouts that are great for folks with chronic pain or autoimmune diseases, too. Start a PROBIOTIC! 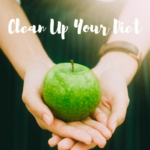 Clean up YOUR GUT! 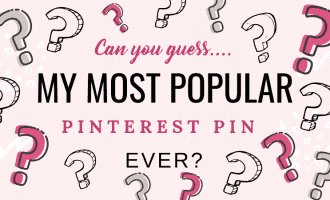 I have tried many and my two favorites are linked right here in case you are looking. The Bio-Kult has so many great reviews and will give you more value for your buck. Keep in mind that when it comes to probiotics – brand does matter. You want top shelf ingredients here, people. Ch eck out your diet. Track what you are eating and try to figure out if you are missing some important nutrients or food groups. For most of us, this would be the nutrients in fresh-caught fish or leafy greens. Since both of those are yucky. 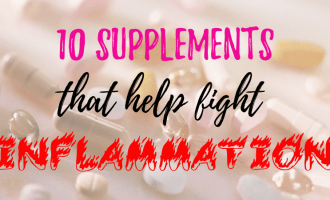 Luckily, you can supplement anything you don’t want to actually eat. The name of the game here is something cooling, something with caffeine, and/or something with hyaluronic acid – which improves your skin’s ability to hold water, therefore temporarily increasing skin volume. Avoid products that make your skin sensitive to the sun and use those at night instead. An all-start favorite of mine. 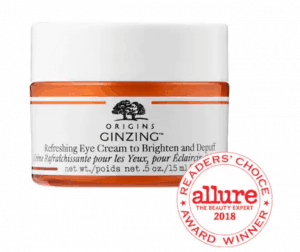 A rich eye cream with hydrating hyaluronic acid. I also really love this one and it’s super affordable. I was able to try a sample of this and now I want to buy it. At night you have the luxury of using stronger products because you’re asleep and you don’t have to worry about photosensitivity or even how they layer under makeup. 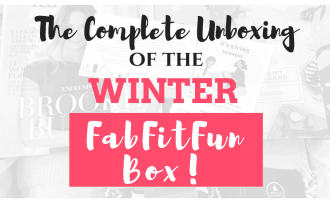 This is the time to try eye gels, sleep masks, and eye creams that will really plump up that skin so those veins won’t show through. The skin’s response to sun is another big player, so always wear sunscreen, even if you’re just driving around in your car. Quick Makeup Hack – From The Pros! 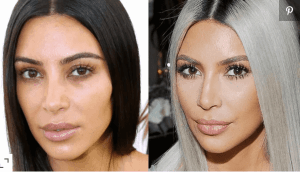 Now that you’re armed with a whole bevy of products you can add to your dark circle fighting arsenal – let’s go over a quick beauty hack, courtesy of none other than Kim Kardashian. 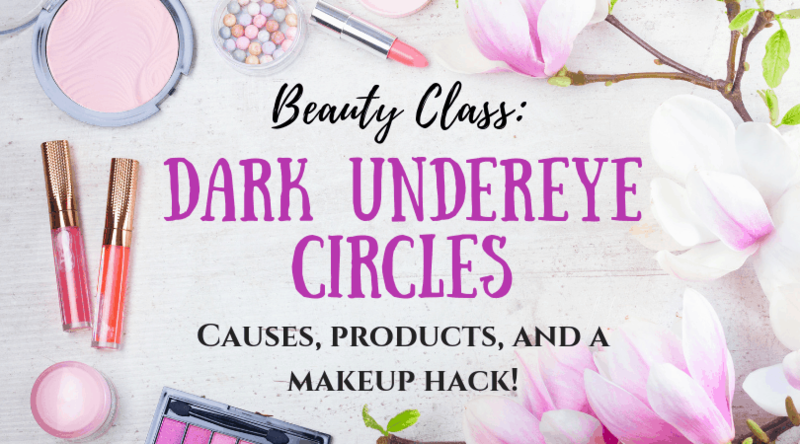 She has actually been very open about her struggles with genetic dark undereye circles and how she and her makeup artist are able to conceal them beautifully. In fact, she is so known for sharing about this – she decided to develop a beauty product you can buy to copy her hack! 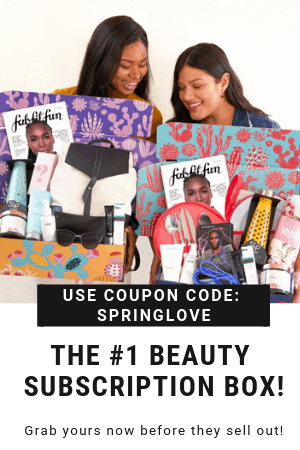 But, you can save your $82 bucks, or whatever it will cost on Ebay after it sells out everywhere, and copy her technique with a few products I bet you already have in your makeup bag! Get that blank canvas, girls. See above for my sunscreen rec. There are so many great options. This one by Tarte is supposedly AMAZING and I want to try it soon. Currently finishing up my Honest Beauty concealer, which is no longer being sold, boo. I also really love Burt’s Bees makeup, so I might try their concealer, too (and it’s under $15!!). With concealer, remember to dab, dab, dab, little polka dots under your eyes, and then gentle blend it in. A blender sponge thats wet and rung out is also an excellent way to make it sink right into your skin. Then, she says they use makeup sponge to pack loose powder over the concealer. Typically, you would use a large dusting brush to get a thin veil over the skin – so this step is a bit different and unusual. The use of the beauty sponge will help you get it in there nice and smooth, so it doesn’t chalky. 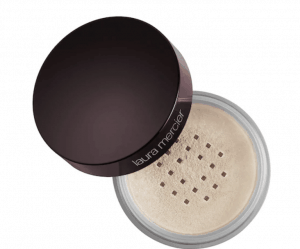 LAURA MERCIER Translucent Loose Setting Powder – 7K perfect reviews! Now, it’s time to bust out the big brush and get that light dusting on top and all over your face. Typically, you would use a translucent option, like the Laura Mercier above, or one similar to your skin tone, such as the tinted Physician’s Formula above. That’s it, folks! You should look like Kim Kardashian now! Just kidding. But, you should see an improvement in the undereye circles. Even if they’ll wash down the drain the next time you wash your face, you are now armed with an easy process for covering them right back up. If you’d like to see a step-by-step of this makeup hack, check out this great article by Bella Gerard where she tries this out and shares it all with us. Just remember, everything about our bodies is connected. Consider treating yourself from the inside out to get that gorgeous, glowing skin you want. And, hey, if you really want to go for it – check out the new celery juice trend that’s all over the place! People are saying it’s drastically improving acne, migraines, and all sorts of things. 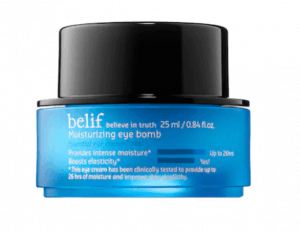 Do you have a favorite beauty or diet hack for those dark undereye circles? Comment below so we can all learn about it! 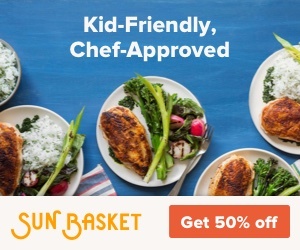 « Affordable, Adorable Kids Clothes Stores On Amazon!